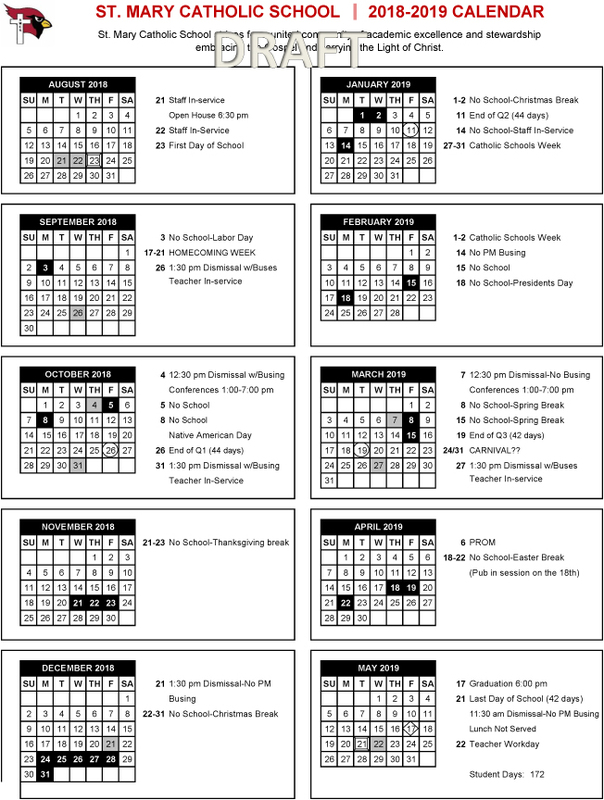 With the harshness of winter and school related closings hopefully behind us, both Dell Rapids and Dell Rapids St Mary schools have made changes to the 2018-2019 school calendar to make up for the snow days this year. Dell Rapids St Mary has made the following updates to their calendar after discussions with staff and EAC. The end of the 3rd quarter will now end on March 26th. March 27th will now be a full day of school instead of an early dismissal. April 18th will be an In-Session day. May 21st and 22nd will be full days of school. May 23rd will be the final day of school with an 11:30 a.m. dismissal, and May 24th will be a teacher work day. The Dell Rapids School Board approved the following changes during their regular meeting to the Dell Rapids school calendar. March 27th will be a regular full day of school instead of an early dismissal. May 22nd, 23rd and 24th will be added to the end of the school year with Friday, May 24th currently planned as the final day of school. 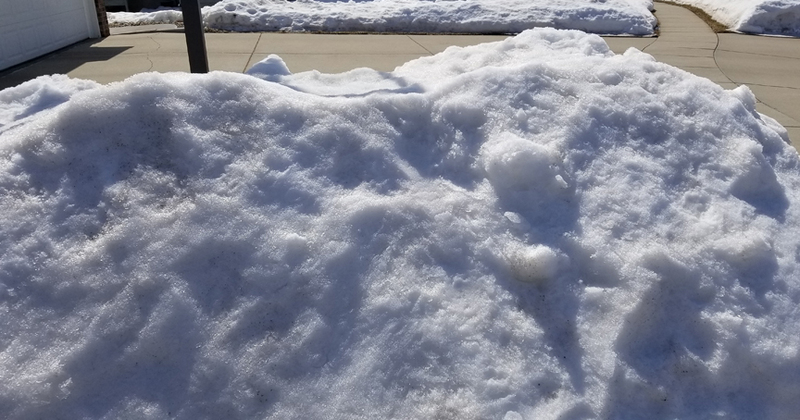 Both schools have said that these plans could change if more days of snow days are added before the end of the year. The South Dakota High School Activities Association (SDHSAA) announced today that 38 South Dakota high school student councils have been recognized as being “Outstanding Student Councils” for the 2017-18 school year. This is the 28th year this statewide program has been sponsored by the SDHSAA to recognize those South Dakota high school student councils that meet or exceed the rigorous standards of excellence that are necessary to achieve the “Outstanding Student Council” designation. Student councils that achieve this recognition can best be described as being very active within their school and community throughout the school year. Outstanding Councils excel in having a well-rounded program of activities and projects which benefit both their school and their community throughout the school year. The “SDHSAA Outstanding Student Council” program requires each participating student council to complete a self-evaluation of their organizational structure and their successful completion of projects in a variety of areas. The evaluation also considers the involvement of the student council in their school and community. The High School Activities Association recognizes the student councils that have met the stringent standards and criteria demanded by this program. The 38 student councils that have been recognized this year are well organized, highly motivated and have met the rigorous standards necessary to be declared outstanding. The self-evaluation focuses on the structure of the student council as well as the positive involvement of the student council in the activities of their school and community. To be recognized as an “Outstanding Student Council”, each council was involved in projects in the areas such as “Community and School Service”, “Health, Safety or Chemical Awareness”, “Education”, and “Leadership”. Completion of projects in a wide range of areas was necessary to fulfill a variety of goals for the student council. Each school receiving the “SDHSAA Outstanding Student Council” award has demonstrated a desire for self-improvement and individual growth by participating in leadership workshops and conventions, as well as other educational programs. 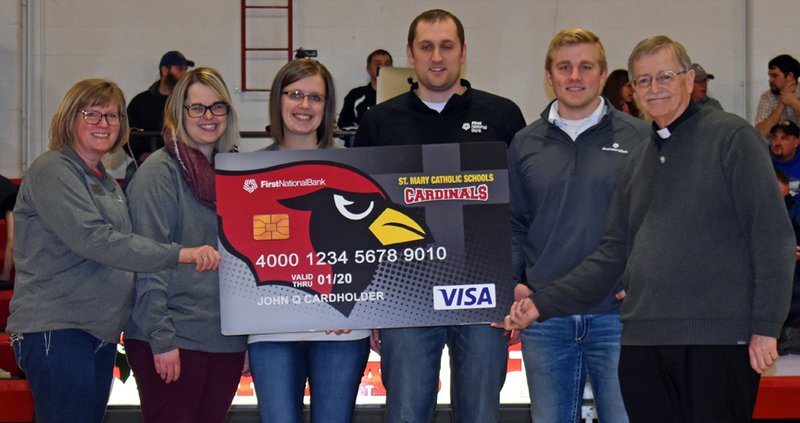 First National Bank in Dell Rapids has one again made a donation to both Dell Rapids and Dell Rapids St Mary schools in 2017 as part of their innovative Community Card program, which was created to help the bank and their customers give back to the community. First National Bank presented a check to Dell Rapids school for $3,736. 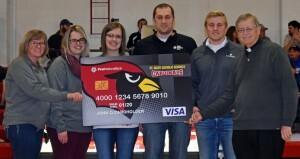 Since the program started in 2012, First National Bank has donated a total of $12,760 to Dell Rapids school. Dell Rapids St Mary school also received a 2017 donation from First National Bank. St Mary received a check for $1,392. First National Bank has been able to donate $6,070 to the St Mary school since the program started. Both Dell Rapids and Dell Rapids St Mary schools have their 2018-2019 scheduled planned. 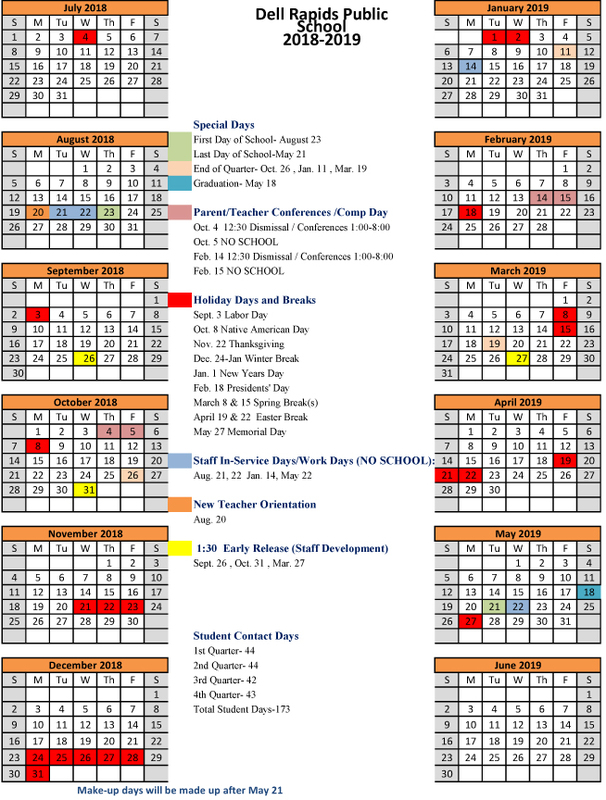 The Dell Rapids School board approved the calendar during their regular meeting on Monday, February 12th. “This 18-19 calendar is very similar to what we’ve been doing. The start date…we’re kind of creeping back up there to earlier in that third week (of August), which if I didn’t do that, we were right up against Memorial Day which people have also said they don’t want. They don’t want to start early in August, but they want to be done by Memorial Day. So in order to do those two things, this is kind of where it had to be,” said Dell Rapids Superintendent Dr. Summer Schultz during the board meeting. The 2018-2019 school year will begin on Thursday, August 23rd for both schools. The scheduled last day of school would be Tuesday, May 21st, 2019 for both schools. The Christmas break will run from Monday, December 24th until Wednesday, January 2nd with students returning to class on Thursday, January 3rd, 2019. 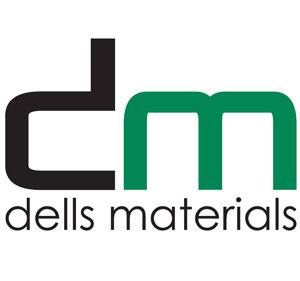 The Dell Rapids St Mary graduation is scheduled for Friday, May 17th, 2019 while the Dell Rapids graduation is scheduled for Saturday, May 18th, 2019. Each year at the end of January St. Mary Catholic Schools celebrates National Catholic Schools Week. One of the ways in which St. Mary celebrates is by giving back to the community through the Food Drive. 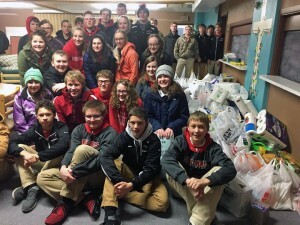 This annual event brings in food, water, and money for the Dell Rapids Food Pantry and continues to be the largest food drive for the food pantry each year. 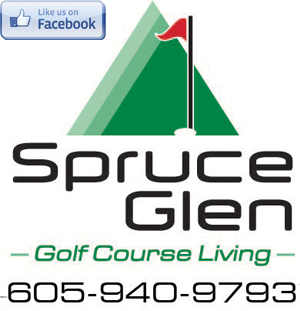 Each day of the week is given a theme that indicates the items to be brought that day. The themes for this year were “Macaroni Monday”, “Toiletry Tuesday”, “Whatever Wednesday”, “Thirsty Thursday”, and “Free Will Friday”. K-6 and 7-12 classes compete to see who can bring in the most items. On Monday, students brought in 346 pounds of macaroni and other pasta noodles. On Tuesday, 633 toiletry items were donated. 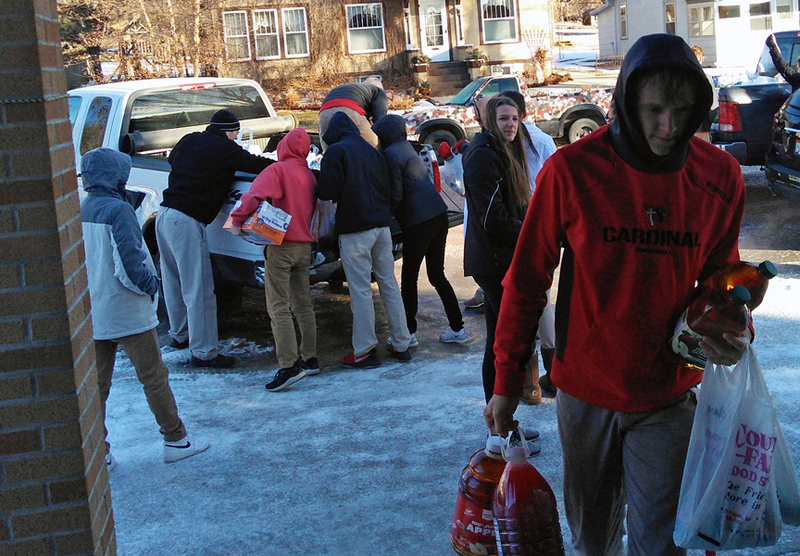 Tuesday morning, St. Mary freshman and sophomore students delivered the items to the food pantry to be sorted. Wednesday’s “Whatever” theme allowed students to bring in any items they could to help. A total of 997 items were brought in that day. “Thirsty Thursday” had students bringing in water and juices, and a total of 23,392 ounces of drinks were donated. St. Mary juniors and seniors delivered the items to the food pantry on Thursday morning. The last day of the week was “Free Will Friday”, in which students brought in monetary donations to help the food pantry. 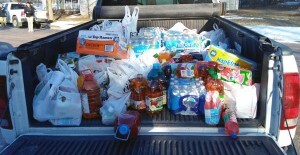 A total of over $1,400 was brought in and donated to the pantry. 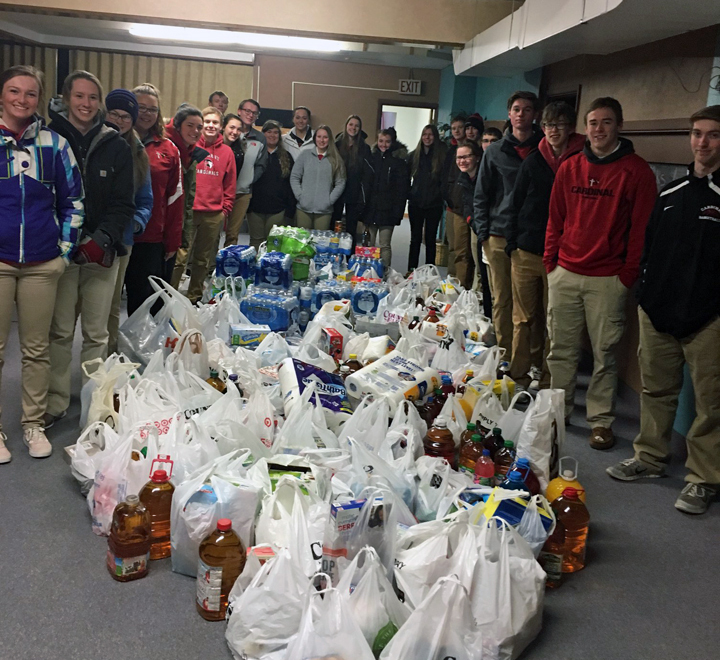 A huge thank you to the St. Mary students and families for giving to the food drive each year during Catholic Schools Week! 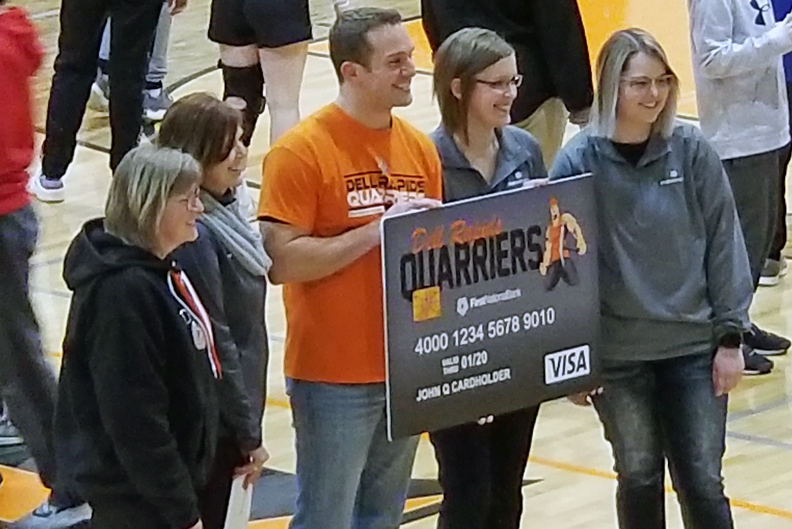 Your generosity continues to help numerous families throughout the Dell Rapids community! Six students from the Dell Rapids community earned Outstanding Performer Awards for their performances at their respective regional one-act play festivals. The Dell Rapids St Mary team performed at the Region 3B One-Act play festival on Tuesday, January 23rd. St Mary placed third in the regional performance at the Dakota Prairie Playhouse in Madison. Courtney Geraets and Thomas Eining earned the Outstanding Performer Awards. The Dell Rapids cast and crew performed at the Region 3A One-Act play festival on Wednesday, January 24th. Their festival was also held at the Dakota Prairie Playhouse in Madison. Outstanding Performance Awards were earned by Tayte Gleason, Jay Holm, Isabella Tesnow, and Carter Wynja. 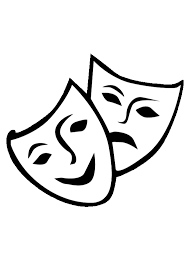 The South Dakota State One-Act Play Festival will be held February 1st through 3rd at the Brandon Valley HS Performing Arts Center in Brandon. Four Dell Rapids St Mary students and three Dell Rapids students have qualified for the 2017 South Dakota High School State Oral Interp Festival on Friday, December 1st and Saturday, December 2nd at Aberdeen Central High School. Thomas Eining, Emma Nelson, Maggie Klein, and Jordan Eining from Dell Rapids St Mary earned a trip to the state festival after their regional performances in Sioux Falls on Tuesday, November 14th. T. Eining will be performing in the Humor category. Nelson will be in the Serious category. Klein and J. Eining will be performing a Duet. 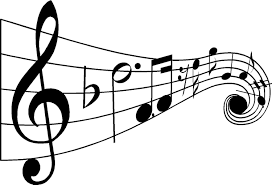 Olvia Clark, Jay Holm, and Ella Lueders from Dell Rapids also earned a trip to the state festival for their regional performances in Brookings on Tuesday, November 14th. 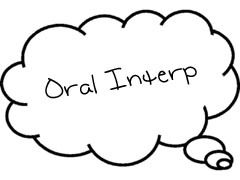 Clark will be performing in the Non-Original Oratory category. Holm will be in Story Telling, and Lueders will perform a piece in Serious. Holm and Lueders will also perform a Duet. Tim Jaycox is an alternate for the Humor category. Also earning an alternate position was the Readers Theater team of Morgan Nemmers, Lueders, Holm, Abby Stauffenecker, Jaycox, and Clark. On Monday, March 6th students across the state South Dakota met in five different locations to celebrate their love of music. 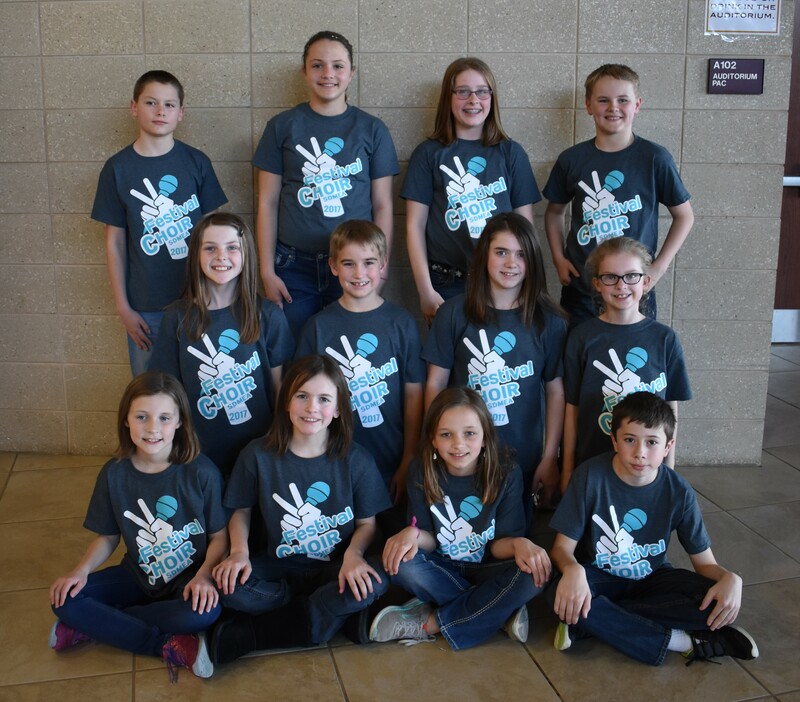 In conjunction with Music in our Schools Month, celebrated every March, the South Dakota Music Educators sponsored the 2017 Elementary Festival Choir. Twelve students from Dell Rapids St. Mary Elementary School participated in the choir hosted at Harrisburg North Middle School. Before March 6th, students met two times a week for several weeks practicing their music in advance, and then Monday, Dell Rapids St. Mary students combined with over 100 other students from other schools in our region. Choir members worked from 8:00 a.m. until 3:30 p.m. practicing their concert songs with guest conductor Dr. Shirley Neugebaur-Luebke from the Sioux City Community Youth Choir in Sioux City, Iowa. The day concluded at 3:30 with a wonderful concert in the Performing Arts Center. A total of seventeen students from Dell Rapids and Dell Rapids St Mary junior high schools participated in the 2017 Celebration of Music Festival. The festival was held on Wednesday, March 1st at Brandon Valley High School. The festival had both an honor band and an honor choir consisting of 7th and 8th graders. Dell Rapids St Mary participants included Maggie Klein for band. Julie Saude, Rebecca Geraets, April Hof, Hunter Griffen, and Jon Bares participated in the choir portion. Dell Rapids public participants included Desirae Horton, Katy Pulscher, Taylor Hansen, Nychole Steineke, Winston Strauss, and Peyton Gleason for choir. Kat Fletcher, Cara Rice, Michaela Witte, Eli Griebel, and Andrew Weiland participated for band.